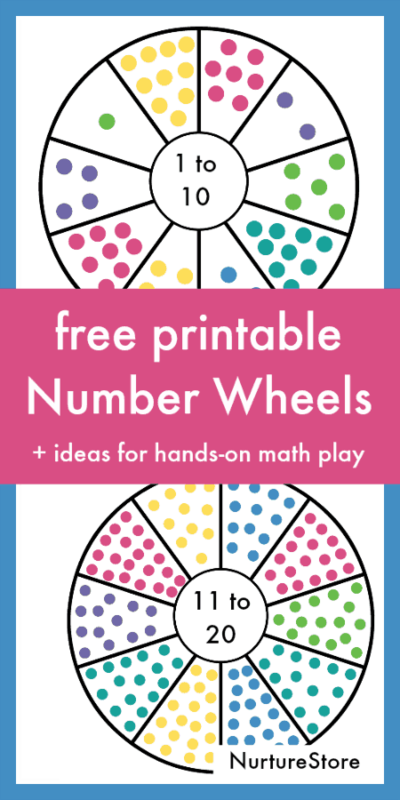 Download your free number wheel printable for hands-on counting games. Learning to count is of course an essential building block in developing math skills, and it’s one of the first things we teach our children. Learning to recite the pattern of number names (one, two, three, four, five…) doesn’t however necessarily mean your child has learnt the concept that ‘two’ means two individual things, or that ‘four’ is one more thing than ‘three’. Perhaps they are only really reciting the number names like a song? This number wheel game can help your child understand the critical ideas of counting, one-to-one correspondence, amounts, and bigger / smaller values. Print your number wheels – see how below. I recommend printing on card to make your wheels more durable. Cut out the number wheels, laminating each one if you like. 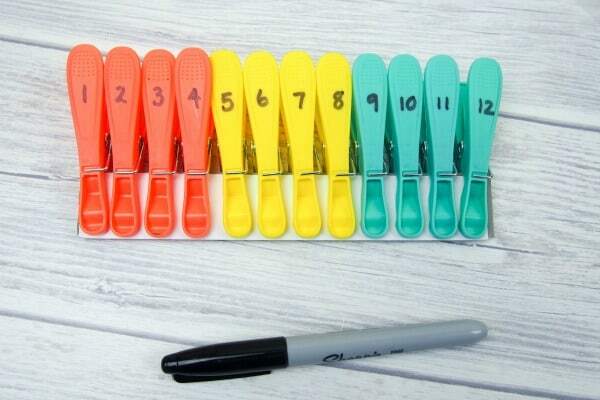 Make a set of number pegs, using clothes pegs and writing a number 1 to 20 on each one using a permanent marker. Set out the number pegs and the number wheels and invite your child to explore and play. :: You can use the wheels simply to count the dots and match up the correct clothes peg to each section. You can use the 1 to 10 wheel for younger children, and add in the 11 – 20 wheel when your child is working on higher numbers. :: See if you can look at the dots on the 1 – 10 wheel and recognise how many there are without counting them. This is called subitising: it’s the ability to instantaneously recognise the number of objects in a small group without the need to count them. :: You could play a more than / less than game. Pick a clothes peg, look at its number, and see if you can find the dots that are one more than that number, or one less than the number. :: You can use the wheels for number bonds too. Use the 1 – 10 number wheel, and count the dots in one of the sections. How many more do you need to add to make ten (or twenty)? Find that number peg and match them up. Knowing your number bonds is an important aid to addition and subtraction, and a great help when you’re answering mental math problems. :: You can use the number wheel as an independent or quiet time activity, but it is also great to use with your child. In a classroom, pairs of children can work together to match the stars and numbers. >>>> Click here to get your copy before you leave! 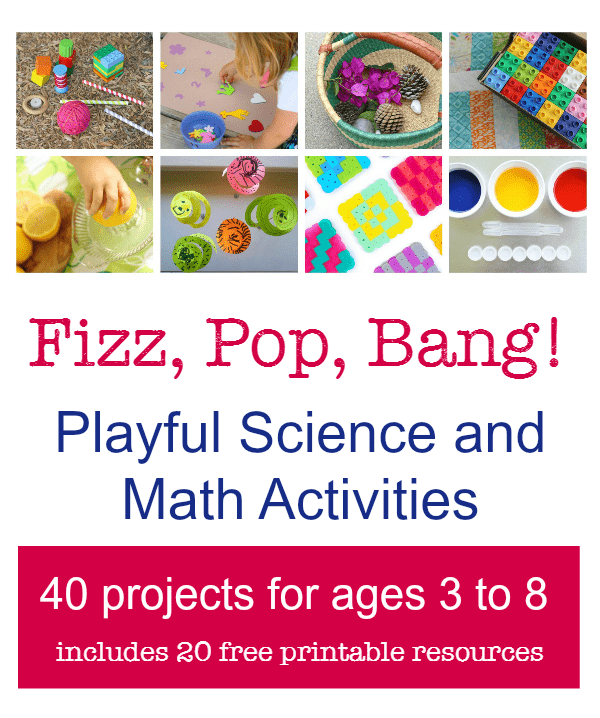 Don’t miss my Rainbow Wheel free printables! There are three versions available including a Color Wheel and Days of the Week Wheel. Click here to get them all. Oh I absolutely love this idea. My son is 4 and could do the first part of this activity but the extension activity of subitising is something we need to work on so I’ll definitely be doing this with him. Thanks! So glad it was useful for you. It’s great to have activities that you can extend over time as they develop their skills, isn’t it.